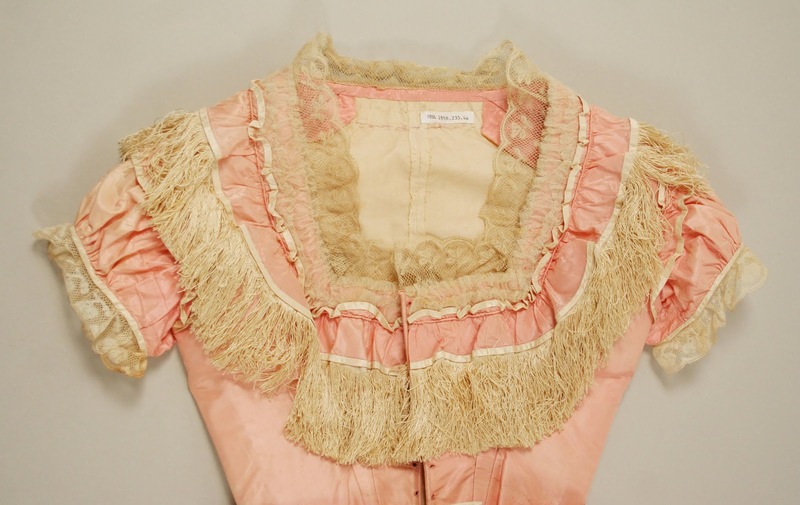 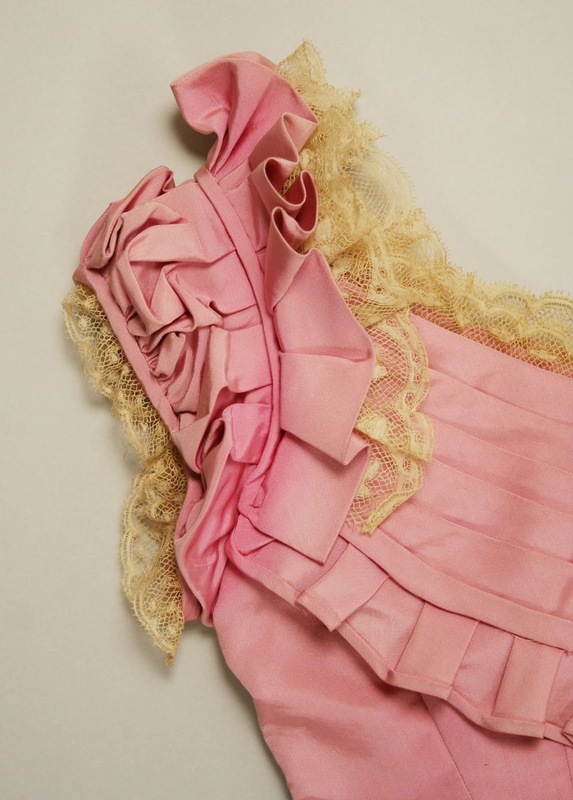 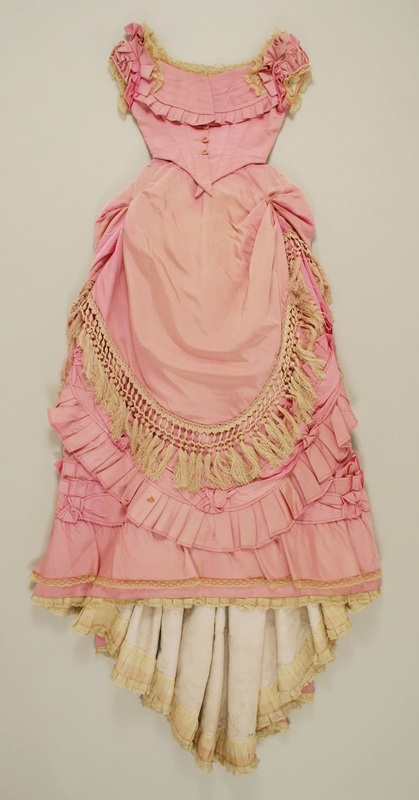 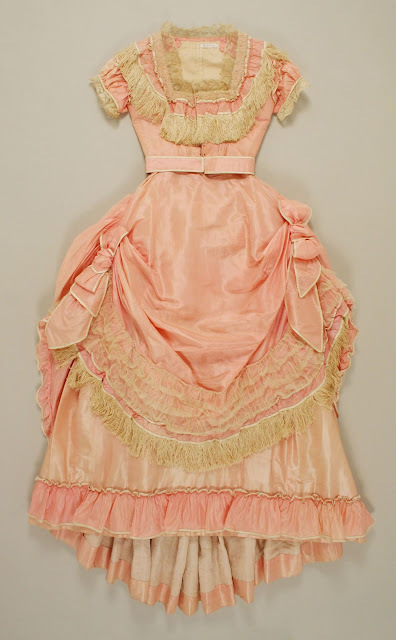 A 1871 pink silk dress with day and evening bodices, maker unknown; French. A lovely way to study design - both dresses are made of silk, with varying use of fringe (passementerie), self-fabric trim and lace -- with very different results. 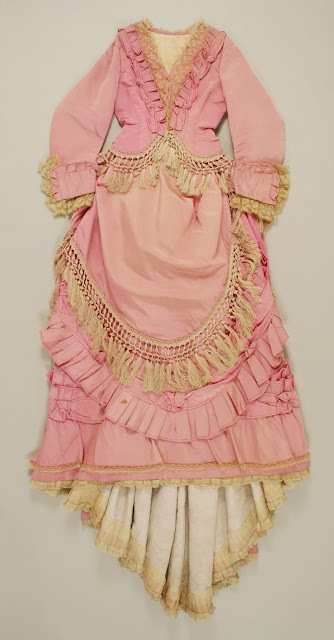 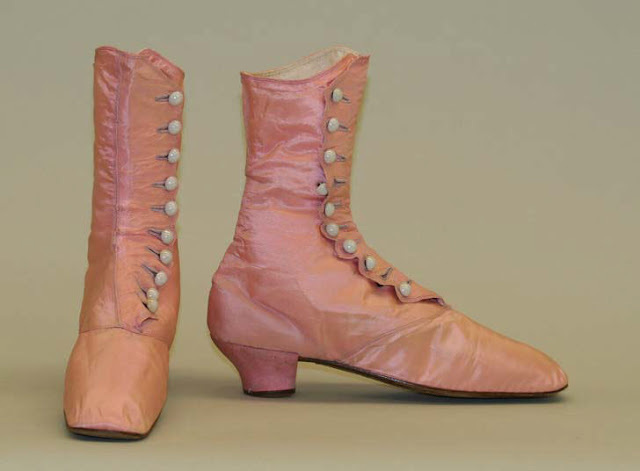 A pink silk evening ensemble, with button boots, c. 1870, maker unknown; American.